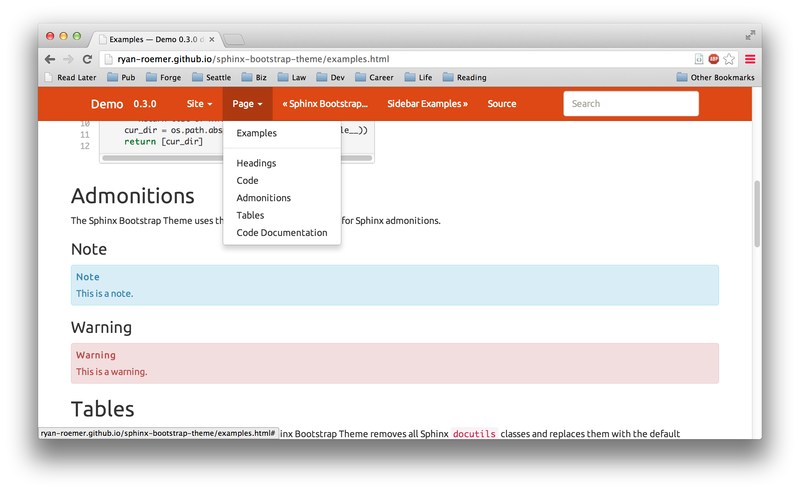 These are the Sphinx themes that we recommend. If there are any others you like, feel free to open a pull request to add them. 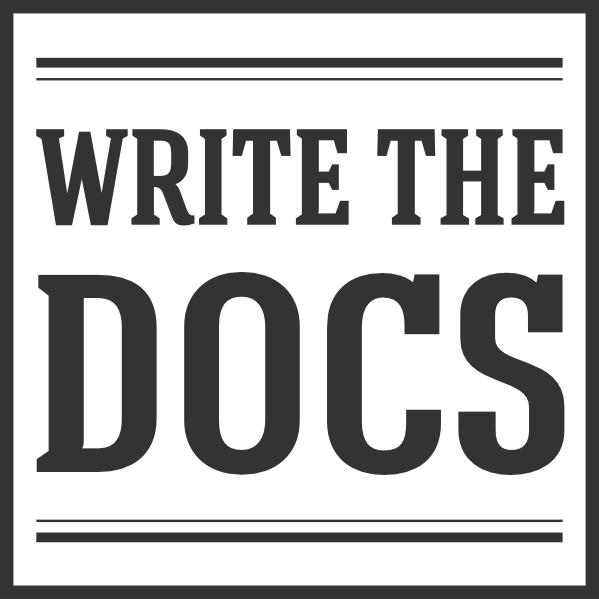 The official theme for Read the Docs. It features beautiful typography and a nice blue color scheme. It looks great on mobile, and provides a menu of all the pages on the left-hand side. Based off the original Flask and KR themes, this is a more extensible version of the prior. It is what this site uses, and provides very minimal markup. It’s great for text content where you just want to make the words front and center. 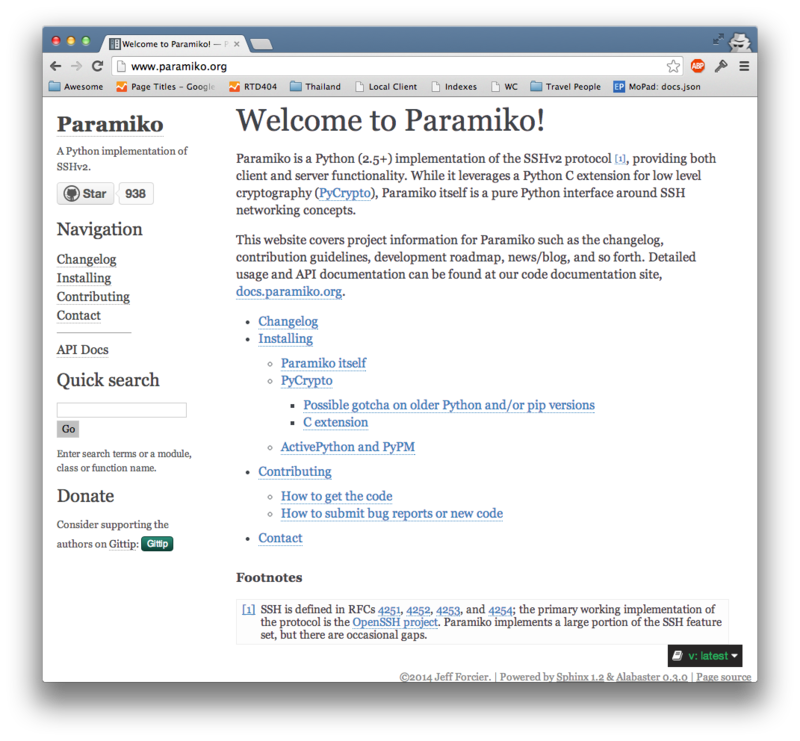 A basic Sphinx theme that uses Bootstrap for nice styling. 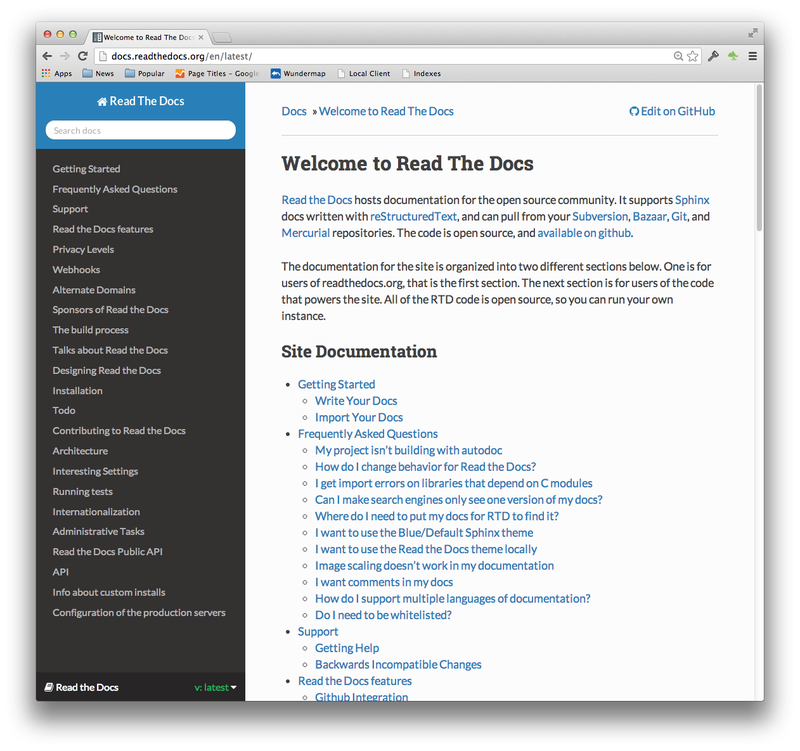 It is a great start for any site that uses Bootstrap, or just wants a simple good looking theme. 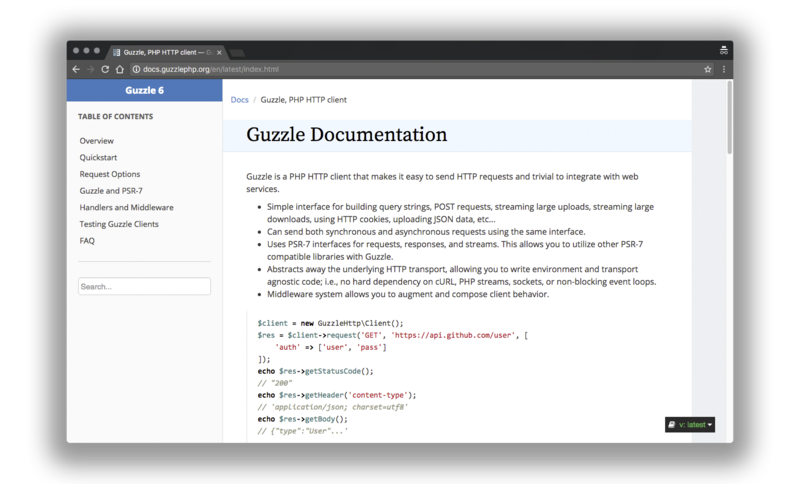 Originally built for Guzzle (PHP HTTP client), this theme is another mobile friendly alternative with nice colors.